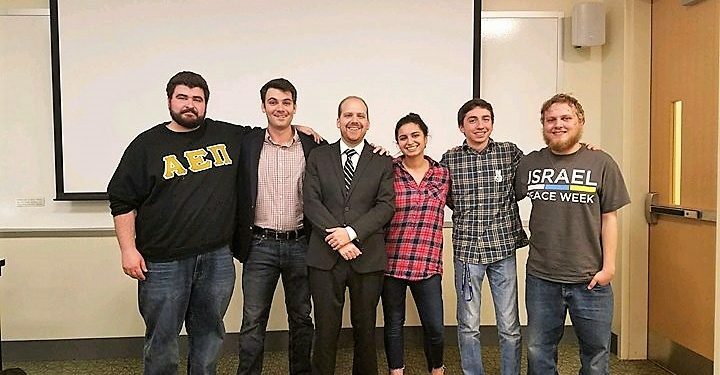 Mason’s first ever week-long Israel Week was held to offer the community the chance to learn about the culture, religions, ethnicities and ideas of the people of Israel. Hosted by the Israel Student Association, events for Israel Week ran from March 24 to March 31. The Israel Student Association is a cultural organization that seeks to educate the student body about Israel, according to their page on Get Connected. 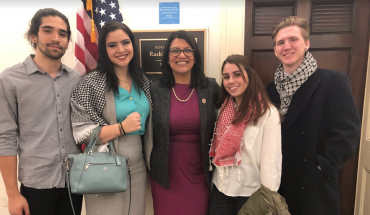 One of the main goals of the week was to spread knowledge and understanding of a culture that is often misrepresented in news media, Sam Carpenter, President of the Israel Student Association, said. “The goal of anything we do is to give people the opportunity to learn” and “show students to look beyond that and look for information themselves,” Carpenter said. Among the events held during the week were Israel/Palestine: Beyond Sides, Interfaith Shabbat, Israeli Film Festival, Zionism: Beyond the Controversy and the annual celebration of Good Deeds Day. The first event of the week, titled Israel/Palestine: Beyond Sides, was an event where a Jewish settler from the West Bank, Rabbi Hanan Schlesinger, and a Palestinian activist, Ali Abu Awwad, discussed their perspective on conflicts and future peace between Palestine and Israel. Mason Hillel co-hosted the Interfaith Shabbat Dinner March 24. Shabbat, the Jewish Sabbath, is a Jewish practice that happens every Friday to celebrate the day of rest, usually accompanied by a dinner, according to the website Chabad. For interfaith Shabbat, members of all cultures and religions were invited to the dinner to discuss the topic of women and religion. Each participating organization had the opportunity to highlight a female mentor, leader or innovator within their religion and culture, according to the Facebook event page. The Israel Student Association also hosted Zionism: Beyond the Controversy. The event focused on the discussion of Zionism, a political philosophy that states the Jewish people have the right to practice self-determination and establish their homeland in the land of Israel, according to Carpenter. “‘Zionism’ is a term that evokes strong emotions on both sides of the ideological spectrum. And yet, Zionism is often mischaracterized to mean vastly different things, despite having a rather uncomplicated definition,” according to Israel Student Association’s Facebook page. The week wrapped up with Good Deeds Day, an international holiday that promotes people doing good in their local communities as well as focusing on personal well-being according to their Facebook event page. According to Carpenter, hundreds of students gathered for Good Deeds day alone, and hundreds more attended events throughout the week. 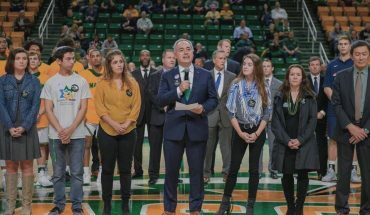 “There were a bunch of organizations that were there raising money to make a positive change, and the event was about doing good and feeling good. The whole environment was just filled with good vibes and music,” Hillel member Juliana Moskowitz said. Carpenter said that the real emphasis for this year’s Israel Week was to have a whole week where the community could get more information about and discuss Israeli culture.